Emmerdale actress Roxy Shahidi says her character wants marriage ‘more than anything’, but admitted she has doubts. Roxy, who plays Leyla, is currently in the middle of one of the ITV soap’s hottest storylines as viewers wait anxiously to see if Leyla and Pete (played by Anthony Quinlan) will walk down the aisle. 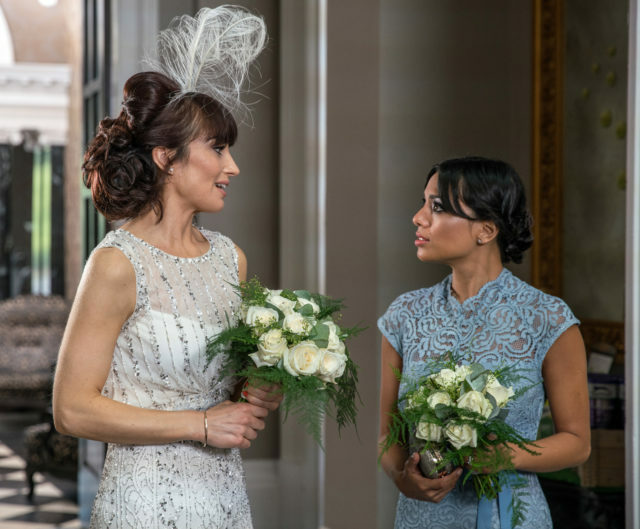 The couple’s impending nuptials may be at risk following Pete’s affair with his bride-to-be’s best friend and maid of honour Priya (Fiona Wade). Talking to Ruth Langsford and Eamonn Holmes on This Morning, Roxy said: “She’s (Leyla) desperate to get married, she’s madly in love with him. “She’s kind of forced the question, but she’s got her doubts. Roxy did not give away any clues about whether or not Leyla would discover the affair. “I think that betrayal is much harder to understand and much harder to forgive and she doesn’t know now,” she said. She also said rumours that her co-star and love interest on the soap, Anthony, may be leaving aren’t true. Emmerdale fans will find out on Thursday night whether or not the couple will live happily ever after.